City officials will begin offering the app-based bike-sharing program in July. Maneuvering through Grand Rapids, Mich. downtown will entail fewer parking and mobility strains if a proposed $2 million bike-sharing program proves successful. The Sam Schwartz recommendation calls for 20 to 35 bike share stations. As the city announced recommendations for its bike-sharing program, SpokeFolks, a nonprofit devoted to cycling, launched SpokeFly, a bike share program similar to Uber, a ridesharing program for cars. SpokeFly users will be able to request a bike through their phone, the app will give a location and the user will unlock the bike from bike racks, according to the Grand Rapids Business Journal. A for-profit donor will front the initial costs of bikes and parking stations. 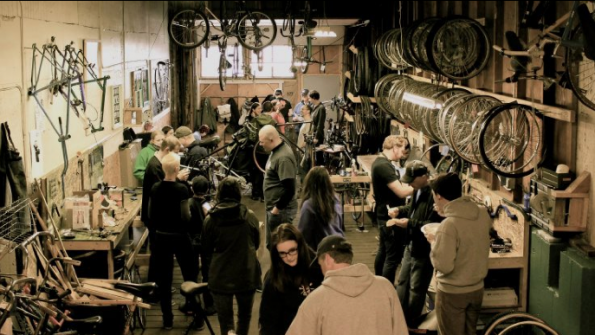 The Spoke Folks will manage bicycle maintenance and daily operations of the program. The program will launch with 66 bikes next month, but by spring, as many as 400 bikes could be shared across the city, Jay Niewiek, founder and executive director of The Spoke Folks, told the Grand Rapids Business Journal. The key to successful execution of the bike-sharing program will be density and usage, Niewiek said. The bikes will have to be used at a rate of 12 minutes per day or more to turn a profit. “We looked at national data around population density, how many bikes per thousand people, and we are right in the middle with the 400,” Niewiek told the newspaper. “If we find we are getting more people, we can add more. All rides will cost a flat fee of $1, and then .15 cents per minute.